Home Cast iron cookware Staub Cocotte, why I think it will be on your wishlist. Why we think a Staub cocotte will be on your wishlist. Staub have spent the past 35 years perfecting the art of the high end cast iron cocotte and have become industry leaders, favoured by Michelin-starred chefs and home cooks alike. From cooking to tasting, the results enjoyed by those who opt for quality like that of Staub cast iron are simply unparalleled. Lesser known than their competitor Le Creuset, Staub have been quietly crafting superior enameled cocottes for decades. The Staub cocotte embodies a rich heritage and a scientific culinary precision like no other. Nothing says class, style and quality like seeing a Staub cocotte on your stove. These cocotte specialists know what they’re doing. 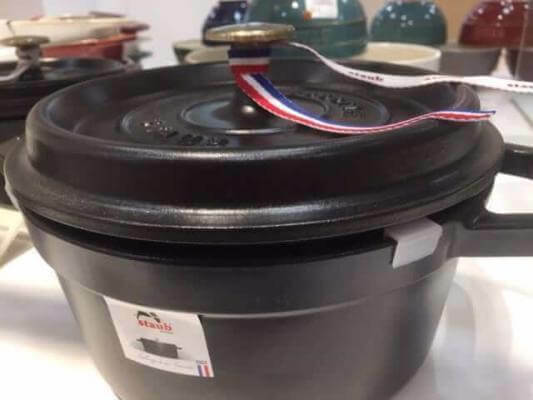 You’re about to discover exactly why Staub are considered world class in their manufacturing of cocottes – also known as a French oven or Dutch oven. The benefits of buying Staub cookware go beyond the gorgeous aesthetics and enjoying cooking experience. The science behind the cocotte has proven, time and time again, that not only does it produce mouthwateringly delicious dishes, but the cooking methods allow for the food to retain their natural nutrients. High End Enameled Cast Iron – The Perfect Gift. This is a product that lasts. The Staub cocotte is a gorgeous piece of cookware, anyone interested in cooking or those interested in traditional cookware will certainly appreciate Staub’s attention to detail. The quality of food it produces will wow any dinner guest. It’s a timeless addition to any household. If you’re in need of a gift for a special occasion, there’s nothing better to give than a Staub cocotte. Have an upcoming wedding to go to? A special birthday? A friend who loves to cook? A Lifetime of Delicious Moments. 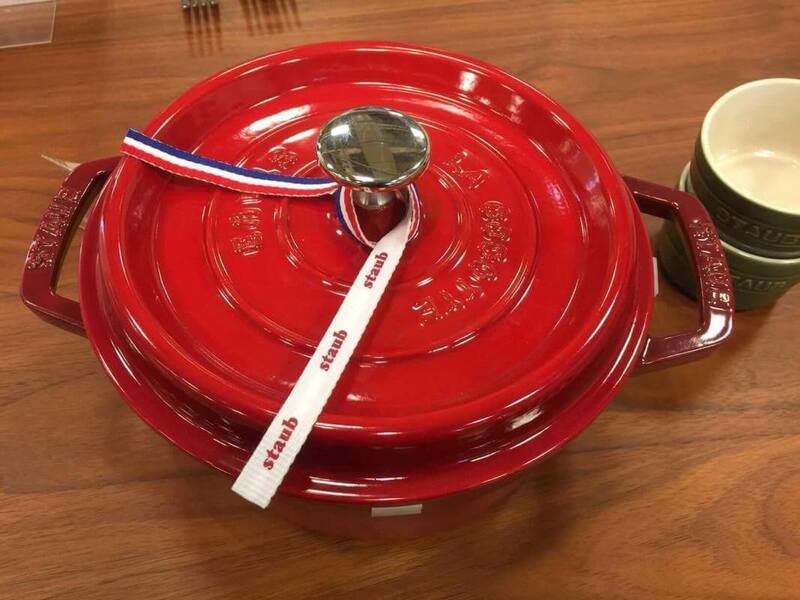 A Staub cocotte boasts unrivaled durability that will last a lifetime. The gorgeous enamelware brings true joy to every proud owner and adds a splash of luxury style to any kitchen. The enjoyment of cooking with Staub cookware comes, not only from the beauty but also from excellent performance. Cooking with a Staub is something quite special. The cookware company maintains tradition that has travelled through the centuries. It’s as though time spent cooking with Staub cast iron can connect us to a delicious slice of French culinary heritage. Like a momentum from an idyllic French country cottage, Staub cookware is as enchanting as it is functional. You’ll never want to eat out again! While you’re at home enjoying the unique characteristic of your Staub cocotte and the rustic charm it brings to your kitchen, there are a number of other fantastic benefits to cooking with such an enduring piece of culinary technology. But before we dive into the groundbreaking science of cooking with cast iron cocottes, let’s get to know the brand behind the flavour. Staub – The Cocotte Specialist. Staub hails from France, based in Alsace, a region renowned for its culinary expertise, revered traditions and mouthwatering food. Top professional chefs like to use Staub for their expertise in making enameled cast-iron and also ceramic cookware. Staub specialize in cooking methods that are emotionally rooted in heartfelt traditions of the region that produce authentic, mouthwatering and nutritious flavors. As any passionate foodie knows, the theatrical element of dining is an important and enriching aspect of the experience. Therefore the Staub cocotte is perfect for those who seek exquisite tastes and authentic traditional cooking methods. In effect the Staub cocotte is a portal into delicious worlds that have won over the taste buds of generations of food lovers. The combination of traditional craftsmanship that has been finely tuned with modern, scientific design produces a tried and tested piece of state-of-the-art culinary technology. Once you’ve experienced the process of cooking with Staub cookware, you’ll understand the powerful pull felt by renowned chefs and domestic cooks alike. Staub cookware is long lasting this can be attributed to the brand’s commitment to continuously maintaining and increasing the quality of their products. Unlike other manufacturers who strive to increase output and reduce costs at the sacrifice of craftsmanship and quality, Staub stands out from the crowd. There’s a reason Staub has a long list of loyal followers. It’s due to the high level of professionalism and dedication with which they consistently continue to master their craft. 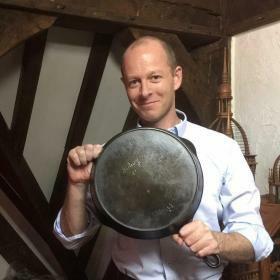 Their recognition as one of the best producers of cast iron cocottes has been well and truly earned. 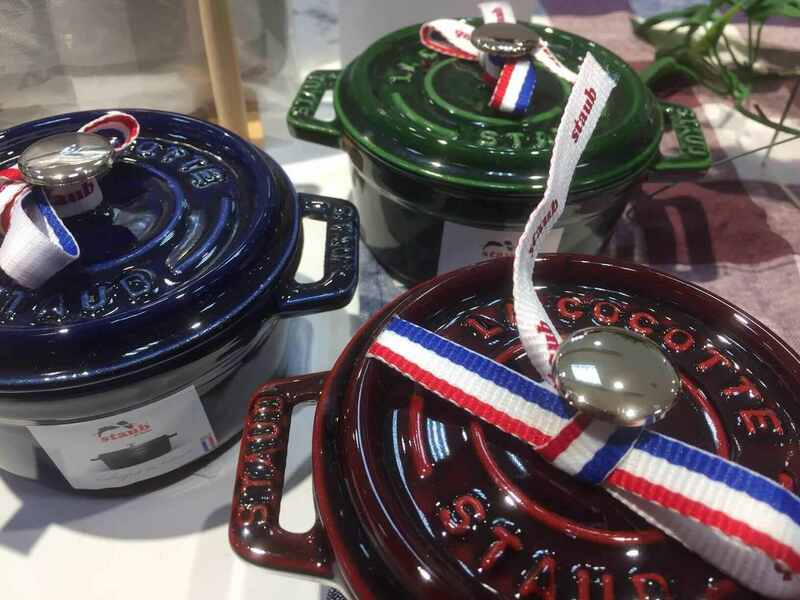 With authenticity at the core of their work, Staub also continues to produce their cocottes in France. Made by the hands of specialist craftsmen, every cocotte is born at the hands of artful masters who are dedicated to perfection. Another little French maker that make a superb Dutch oven is Emile Henry which make theirs using Burgundy clay. They’re a goof option if you’re put of by the weight of cast iron. Why is the Staub Cocotte Every Chef’s Dream? Alongside the superior results, the Staub cocotte is designed for the sheer ease and joy of use for any impassioned cook. The gorgeous design is highly functional and – unlike many other culinary technologies – is very easy to clean! The ease of use is a major contributing factor to the Staub cocotte’s lasting power among the echelons of the world’s most well respected chefs. Chosen by Michelin starred chefs spanning the best restaurants around the globe, the Staub cocotte is revered for a unique construction that makes it so versatile. Favored for for sauce making, stewing or brazing, its popularity rests on the “wow” factor it delivers in the flavors it procures. Staub sets the bar high for cookware. It’s the dedicated craftsmanship that goes into the design that delivers reliability to top professionals who rely on their cookware to consistently produce high-end results. It’s the lid design that represents the true innovation of Staub’s approach to cooking. By optimizing the benefits of the traditional cocotte design through scientific insight, Staub have created a masterpiece in culinary technology. With the underside of the lid designed to create a continuous rainfall cycle over the food, the results are more even and tastier than conventional pots. The design creates a continuous basting system that has been tested and proven to keep meat more tender and veggies softer and more succulent. Design and Manufacture Like No Other. The creation process for each cocotte is intricate and precise. Staub cocottes use individual sand molds and raw iron, heated to perfect temperature. After each pot has been set at 800 degrees centigrade then imperfections are painstakingly removed by the hands of dedicated master craftsmen. There’s a good reason why Staub is renowned for the history of its craft. Staub have over 35 years perfecting the cocotte making it instantly recognized as one of the best cast-iron cookware makers in the world. With at least two layers of glossy enameling applied over a base coat before firing. Every cocotte is as smooth as it is gleaming in deep, rich colors. While every piece is perfect, each piece is also unique due to the handcrafting of every individual sand mold. Another reason that puts Staub a cut above the rest is due to their enamel’s strength. You won’t find any cracking or chipping on your cocotte over the years, due to their stringent quality control for imperfections in the output. With exquisite detailing such as brass knobs on black enamel or nickel plated knobs on colored enamel, Staub have succeeded in creating an aesthetic that truly emblematizes the superior quality and function of the design. It’s the quality combined with beauty that keeps Staub cookware consistently in demand. The beautiful enameling comes in many colours to choose from. Modern yet classic, you’ll find a colour that best suits your personality and perfectly complements your home décor. Staub also offers a range of sizes to fit every need and number of family members! With every design element carefully thought out, Staub cocottes are versatile in use for anything from soups to slow cooking, as well as baking. With special enamel on the base to protect glass and ceramic from scratching, there’s not a thing Staub haven’t thought of. Every cocotte is heat resistant up to 250°C/482°F. The black interiors hide any cooking stains so that you can cherish your Staub cocotte in pristine condition for years to come. Impress any guest by serving your dishes directly in your favorite colour cocotte. The Staub Secret To Healthy Living. A Staub cocotte retains natural flavour and aroma of food prepared because of the gentle and natural method of cooking. A Staub cocotte slowly cooks food in cast iron. Therefore food juicy bringing out flavours of every piece of meat and vegetable you place inside. Moreover with the specialized lid design, moisture is enclosed and evenly basted over the food at a continuous rate to prevent it from drying. This perfected moisture level enhances flavor and texture like no other cooking method. The Endless Benefits of Staub Cooking. Meals prepared in your cast iron cocotte are delicious because the lid helps to intensify flavors and aromas not allowing humidity to escape. The Lid design retains more of your foods’ nutrient content. The self-basting system retains 10% more moisture within the cocotte than pots produced by other manufacturers. Your cocotte is perfect for stews, searing, slow-cooking and even for bread! Cooking with your cocotte connects you with generations of cooks who have taken advantage of cast iron’s natural heat retaining and distributing abilities. For centuries it has been a favorite material for use in the kitchen. Enameled cast iron also retains the cold, so simply put your dish in the fridge for cold dishes or the store food. You’ll discover new flavours revealed from your favourite ingredients as you prepare them with the cocotte’s in-built continuous self-basting method. Staub have perfected their design for self-basting and food is scrumptious. Staub lids are also heavier than other brands. The heavy well fitting lids prevent moisture from escaping during cooking. The results are clear in the mouthwatering flavours you’ll taste as a result. A markedly sophisticated design retains moisture making meat and vegetables more tender. 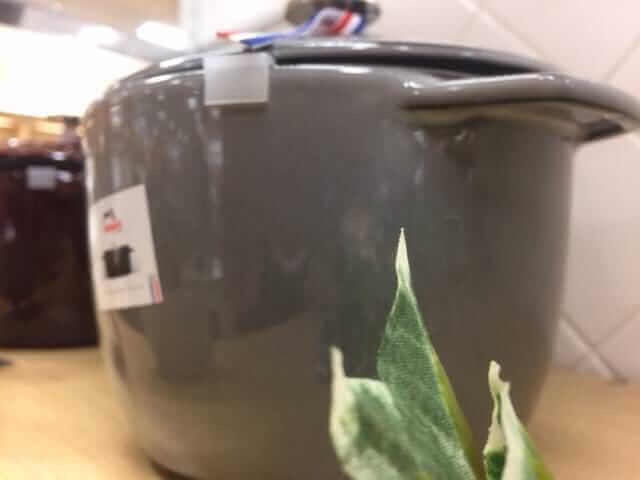 Surprisingly up to 10% more moisture retained in the pot compared to other brands. Also the lids provide up to 9 x more efficient basting system to enhance flavour. Consistently produces rich flavors because of the tightly fitting lid. Because meals a sealed and often slowly cooked the food retains more nutrients. Since traditional cooking methods cook food slowly, meals are often more wholesome. Staub cocottes have a matte black enameled interior in order to hide stains ever after many years of use. High-quality enamel used in Staub products, offers improved resistance to cracking when using a high heat. 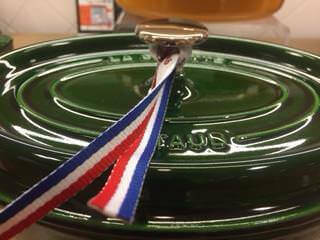 Staub are specialize in enamelware world-renowned for superior quality. While beautiful Staub cast-iron is also ideal for searing, roasting and caramelizing food. Staub cocotte is a timeless piece of cookware to add to your kitchen. Also Staub cocottes are perfect as a gift to a loved one for a special occasion such as a wedding or a housewarming. 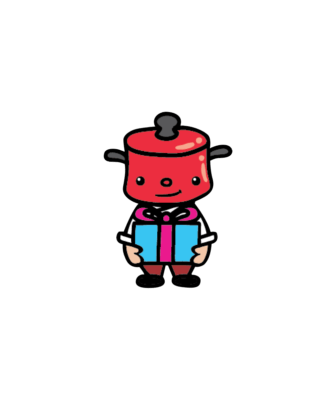 A Staub cast iron cocotte is a is a piece of cookware that will last for many years. Enjoy the benefits of every day as you share delicious and nutritious food with your family. Here at Boonie Hicks, we wholeheartedly consider Staub cast iron cocottes as the finest quality cookware of it’s kind. The beauty of the enameling combined with the superior quality manufacturing that truly lasts. In essence Staub is a fantastic choice for kitchenware. Once you’ve experienced life with a Staub cocotte in your kitchen you’ll never be able to imagine life without one! Simply choose your favorite colour and place your order via amazon today! Enjoy A Taste of Exquisite French Tradition At Every Meal. Staub Cocotte Cast Iron Enamelware. Previous articleLodge 12 inch skillet. Your best skillet for every day use.